Home Real Estate Mortgage What is a Prepayment Penalty? When it comes to refinancing or purchasing a new home you’ll want to be well aware of any potential mortgage prepayment penalties. Here’s an examination of what is a prepayment penalty. The mortgage prepayment penalty is a fee you have to pay when you pay your mortgage off before it’s scheduled. It guarantees the lender makes a certain amount of profit on the loan even if you pay your loan off early. For you, a mortgage is a way to buy a home when you couldn’t pay cash. But, for the mortgage lender, the mortgage loan is a way to make money by charging interest. Mortgage loan repayment is structured in such a way that much of the interest is paid in the first several years of the loan. Many borrowers try to avoid paying the full amount of interest by paying their mortgages off earlier than scheduled. However, mortgage lenders may charge a prepayment penalty when you pay your mortgage off too soon. The prepayment penalty may be a percentage of the outstanding balance at the time of prepayment or it could be a certain number of months of interest. Depending on the terms of your contract, the prepayment penalty might be charged in any instance that you prepay your mortgage. (This is called a “hard” prepayment penalty.) Or, you might be subject to a prepayment penalty only when you refinance your home (a “soft” penalty) or pay it off earlier than agreed. You could even be charged a prepayment penalty if you make an additional lump sum payment on your mortgage during the year. Some lenders waive the prepayment penalty if the home is sold. Check your loan documents or call your loan officer to figure out how much extra you can pay without triggering the penalty. Prepayment penalties are common in the first several years of the mortgage and often disappear after about five years. Subprime mortgages with high interest rates commonly have prepayment penalties because there’s a higher risk that borrowers with these mortgages will refinance to get out of the high interest rate. Unfortunately, a prepayment penalty can make refinancing a bad decision because the penalty increases the cost of refinancing, when the point of refinancing is to get a cheaper mortgage. If you’re a prime borrower – one with a great credit score – or you have a large down payment, you may have more room to negotiate your prepayment penalty before you accept the mortgage. For example, some lenders will lower your interest rate by a quarter to a half percent if you accept a prepayment penalty. You could also negotiate the specific terms, like the amount of the penalty and how long the penalty applies. You can find out whether your mortgage has a prepayment penalty by reading your mortgage contract. Both your Good Faith Estimate and your Truth in Lending Disclosures include details about a possible prepayment penalty, if there is one, but it’s easy to miss this information when there are so many other loan details present as well. 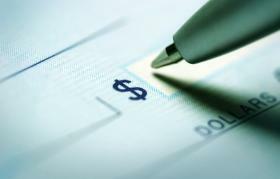 Should You Accept or Reject the Prepayment Penalty? If you’re trying to decide whether it’s worth it to pay the penalty, compare the penalty to the savings you’ll get from refinancing or paying your mortgage early. You may have to accept the penalty if it means you can avoid making a balloon payment or a significant payment increase because of an adjustable rate mortgage. If you decide to accept the penalty, but have trouble coming up with the cash (along with other fees involved with refinancing), you can postpone your refinance or try to negotiate the fee. Call your lender and ask for your penalty to be reduced. You might be more successful if it’s close to the time for the penalty to decrease or go away completely. Previous articleWhat is a Short Sale? Next articleWhat is a HELOC?